Senior officials at SBI mentioned that the embattled airline is part of its overall watchlist for stressed accounts and special mention category loans as on June 30, 2018. Jet. however, had a different story to tell. The State Bank of India recently informed that it has put Jet Airways under scanner for loan default. Senior officials at SBI mentioned that the embattled airline is part of its overall watchlist for stressed accounts and special mention category loans as on June 30, 2018. Jet, however, maintained that its account with SBI is standard and it has been regular with its debt payments. Earlier this week, the Naresh Goyal-led airline deferred its financial results for the June quarter after they were not approved by the audit panel. In a conference call after releasing the bank's first quarter results, SBI Chairman Rajnish Kumar confirmed that Jet Airways is under his bank's watchlist for stressed accounts, but refused to divulge any more details. "Yes (we have exposure to Jet), but you are asking me to cross the 'Lakshman Rekha' (boundary) to talk about individual accounts. But since you have asked, I am telling, it's part of the watchlist, SMA 1 and 2 in the June quarter," Kumar said. Kumar further added that the Jet Airways account could be a part of any of the three categories - SBI's overall loan watchlist, SMA-1 or SMA-2 loan category - but he did not specify which one. Special mention accounts, or SMA, are categories laid down by the Reserve Bank of India to classify default on loan accounts. According to a notification by the central bank, accounts with principal, interest or any payment overdue for a period between one and 30 days are to be classified under SMA-0 category. The account is put under SMA-1 category if payment is overdue for 31 to 60 days, and under SMA-2 category if the non-payment period is between 61-90 days. In response, Jet Airways has claimed that its account with SBI is standard and it has not defaulted on any of its payment obligations. "We are regular in all our payment obligations to all our banks and statutory dues including PF obligations. Our account with all the banks as on date is "Standard". Your information of Jet Airways being placed in the SMA1 and SMA2 category is incorrect," Jet Airways has clarified in a statement. The statement further added, "We have had scheduled amortizations in the past so many years and the company has met its repayment obligations all the time. This is evidenced by the reduction in the overall debt of the company by ?3,000 crore in the last three years." 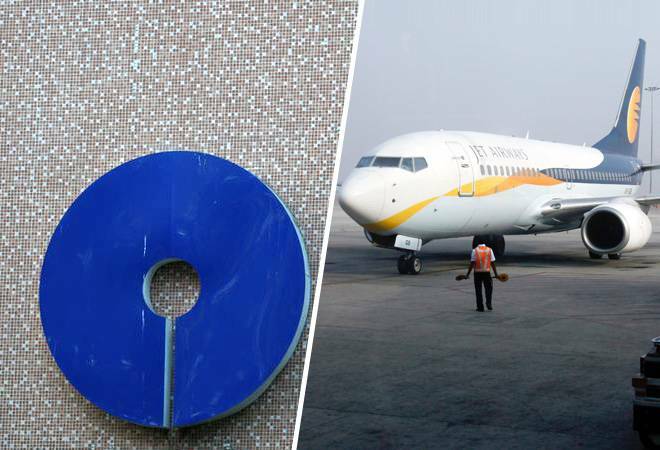 Apart from SBI, other major banks that have extended loans to Jet Airways include HDFC Bank, ICICI Bank, Punjab National Bank, Canara Bank and IDBI Bank. Also Read:Is Jet Airways, India's second largest airline, already insolvent? Earlier this week, Jet Airways deferred its June quarter results to an unspecified date. In a regulatory filing after its annual general meeting, the airline mentioned that its board has decided not to review the unaudited financial results for the first quarter. "The audit committee did not recommend financial results to the board for its approval, pending closure of certain matters," the airline said in the regulatory filing without offering more details. BSE and NSE has asked Jet Airways to furnish specific information about its decision to postpone the quarterly results. The BSE said the disclosure by the company regarding the delay in first quarter results lacked "certain information" and Jet Airways should submit complete information that is available with it.